Stephanie Harrod interviews sociology Professor Kath Woodward of the Open University and Jen O'Neill, Editor of She Kicks, a women's football magazine. 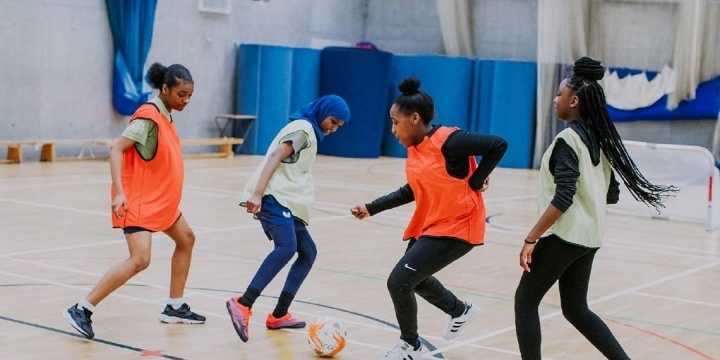 I have been a Director at Harrod Sport for 30 years and as a woman in a male-dominated space, the issues surrounding sports and gender have always interested me. I've often wondered why women's sports don't get more coverage, why female pundits are sometimes ridiculed and what can we do to move past this to ensure there is a future for women in sport. To understand the topic more fully, I spoke to Kath Woodward, Emeritus Professor of sociology at The Open University and the author of numerous books on gender, identity and feminism in sport. I also spoke to Jen O'Neill, sports journalist and Editor of She Kicks magazine. Female pundits: why the furore? Last summer, I was delighted to see Eni Aluko and Alex Scott taking up positions as football pundits for the World Cup coverage. This turned to frustration when I saw Patrice Evra's response to commentary by Aluko: "I think we should leave, Henrik [Larsson], because she knows about more football than us! I'm really impressed, you know. She knows more than us!" I asked Kath to help me understand why this happened. "There is a vulnerability in masculinity," she explained. "The increasing prevalence of women in sports and punditry is threatening existing ideas of masculinity. Men are becoming more aware of what they see as their own insecurities and feel that their traditional privilege in this field is being threatened." In other words, comments like Evra's are expressions of anxiety as men begin to share spaces they perceive as their own. I wonder if we could apply similar thinking to the history of women's football. The first all-women match took place in 1895 - 'North' beat 'South' 7-1, making it, one imagines, a thrilling event to witness. But after early successes of women's clubs and matches (nationally and internationally), the Football Association banned women from playing at their grounds in 1921, citing "…the game of football is quite unsuitable for females and ought not to be encouraged". It interests me greatly that this happened after the Great War when we know men returned home to find women had begun to occupy new roles in society – personally and professionally – and causing significant conflict at the time. "Football is really the last bastion of male-dominated sports," Kath continued. "Take a sport like boxing. Years ago people said that women couldn't box because 'what if they cry or want to have babies'. 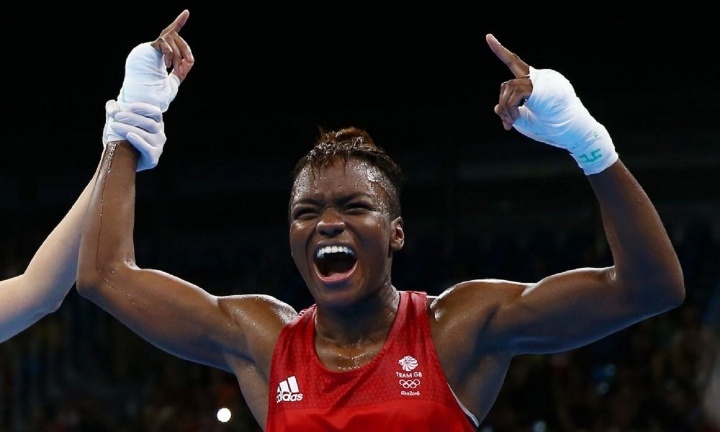 But with the rise of stars like Katie Taylor and Nicola Adams, women are taken seriously in the sport and the inclusion of boxing in the Olympics has generated serious commentary. This transition is still happening with football. Even Manchester United, the biggest football club in the world, only established their women's team in May 2018." Sports writer and Editor of the women's football magazine She Kicks, Jen O'Neill explains: "Football is so ingrained in our culture that even the lexicon is entirely masculine. This isn't a problem, but it indicates how entrenched the view is that football is purely a male sport." Additionally, the masculine imagery surrounding the coverage of men's football is and has been "all-pervading". Jen adds, "We often view things in very simplified binary terms in our culture." So, what does that mean for advancing the role of women in the sport? Without a doubt, change won't come easy. "The fact is that the World Cup is competed for, exclusively, by men. There is an enormous amount of diversity in this competition in terms of race, colour and ethnicity, but not of gender. This is not to say that only men have a right to comment on professional football, but my intuition is that the TV bosses sought to have women on the panel for reasons of appearance rather than to satisfy a latent demand to hear their opinions. And isn't that tokenism in and of itself?" I put this to Kath. "There are instances of tokenism but it's disingenuous not to realise that we have to start somewhere. At the end of the day, Alex Scott and Eni Aluko did demonstrate their knowledge and expertise. And the same is true for female journalists at the time of the 2018 Men's World Cup: they produced high-quality sports journalism." I can't help but agree. No matter the reasons why women are represented in sports media, it is an opportunity for them to show that women are serious about sports and that they can offer insights on their own terms. I am hopeful for the future of female punditry in all aspects of sports. You don't have to be an expert to know that male sports get much more coverage. You only need to turn on a TV or pick up a paper to see this is true. But when I read a report by Women in Sport I was still shocked by the figures. Their research revealed that women's sports failed to achieve more than 10% of all sport's coverage in four out of five countries in the study, including Malta, Greece, Sweden and the UK. Only Romania had more coverage of women's sport, peaking at 14%. That is largely due to the celebrity status of tennis champion Simona Halep. But this is an important point. Endorsement of female sports stars is something that Kath suggested as a way of driving social inclusion for sportswomen. The more we can celebrate talented female athletes like Diana Asher-Smith, Hannah Botterman and Georgia Stanway, the more exposure the media will give to them. "Sports coverage is changing - women's sports are gaining visibility," Kath says, "but the language and discourse are often still gendered." At this, my thoughts wander to the furore around Serena Williams' catsuit at the 2018 French Open. When announcing an updated dress code that essentially bans the functional (and fun) outfit from future tournaments, French Tennis Federation president Bernard Giudicelli said: "One must respect the game and the place". It is unclear to me how a catsuit shows a lack of respect for tennis on Williams' part, and wondered if this is an example of the gendering of sports discourse. As Harrod Sport avidly supports athlete development, I was keen to understand the impact these issues may be having on the next generation. "Parents tend to worry about acceptance," Kath explained. "Sports challenge femininity - it's hot, sweaty and competitive - so parents of girls may find it hard to see their daughters not conforming to the cultural norm. This is particularly true when young women choose sport as a profession. Until this point, society has been comfortable with women playing sports but once you add a competitive element those norms are challenged." I know that my concerns for the future of girls and young women are shared by other figures in sport. 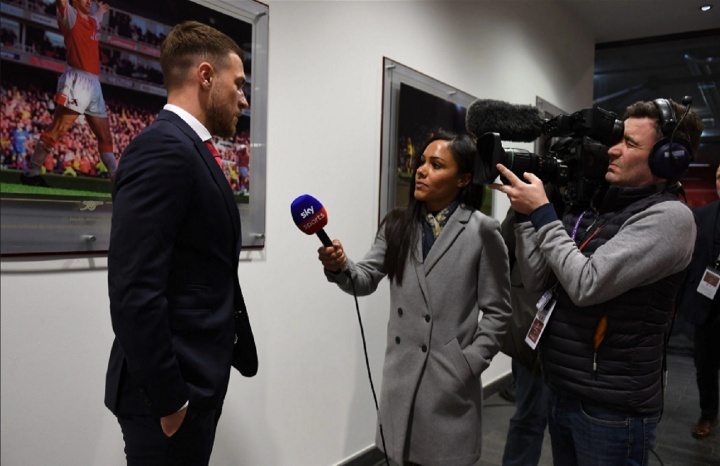 Following the appearance of former England goalkeeper Rachel Brown-Finnis on Premier League Tonight, presenter Jake Humphries Tweeted: "Any form of discrimination is wrong… football is for everyone, it should be empowering our daughters as well as our sons". I would only add that this is true of all sports. Young people who want to play sports should have the opportunity to do so, whether it's for fun or competitively. But how do we make that possible? I asked Jen about the challenges young girls face as they pursue a career in sports - on and off the field? "Sustainability. Is there security in their income and in their sport? Also, image is everything, perhaps more so than for male athletes (though there is still pressure for them, of course). Female athletes are expected to be fair, accessible, approachable, wholesome and give their time to fans willingly in face to face and online interactions, despite people ignoring any sense of private time and space." 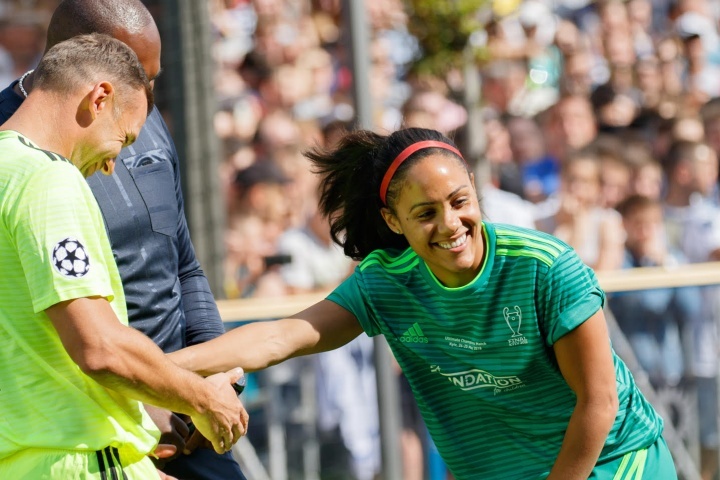 Jen said explains that unlike women, male professional footballers who are perceived as 'big time' players aren't expected to "spend 60 minutes after the final whistle freezing and signing hundreds of autographs". Likewise, she adds, federations, sponsors and clubs expect social media outputs from female players - sometimes with minimal support or recompense. There seem to be two options for how to move forward. Either male and female sports are integrated or there should be parity toward equal opportunity. Kath knows leans toward the latter: "Part of the reason that women's sports aren't taken as seriously as men's is that the investment isn't there". So, how can parity be achieved? I welcomed the announcement that Adidas will award players in the winning Women's World Cup the same bonus as their male counterparts. This is the first time this has happened, making 2019 a historic year in international football. Jen also highlighted the not uncontroversial integration of resource for Manchester City men's and women's football teams (who now share access to the same marketing team and training grounds). This and a spate of other clubs are beginning to follow the example set by Arsenal, one of the first proponents of women's football. "While the male-skewed lexicon and imagery surrounding football are changing, they do so slowly and there is always a large section of the population that thinks the way it always has. In marketing and advertising terms, for example, if a company wanted to reach a football market, they would use football magazines (football is masculine) and if they want to speak to a female market, they use women's magazines (which are feminine) - where does women's football fit into that matrix?" I also wonder how much progress can be made when women aren't represented in leadership roles within sport. The International Olympic Committee has raised the issue of a lack of women in leadership positions. In the UK, women only account for 30% of the boards of the National Governing Bodies of England and Wales. "How about something official and in the statute books? For example, Title XI in the US (introduced in 1972) legislated for equal funding in education, which included funding school/college sports. If a school spends an amount on a male football, rugby or cricket team, the same should be put towards female sports teams and programmes. The same should apply to local authorities and other organisations." And while Jen also acknowledges the constraints on funding/budgets at all levels, she argues funding "should always be equal". "I think we need both parity and integration. But it's early days. We need to listen to women who are playing sports. And they don't get a lot of voice." That's why I wanted to write this article. I can use my position as a leader in sports manufacturing and innovation to help drive change. By having this conversation, the sports community as a whole can work together to ensure that young women and girls will have a place in professional sports going forward. Did you know that Harrod Sport is the official suppliers of the Hockey Women's World Cup and England Netball? 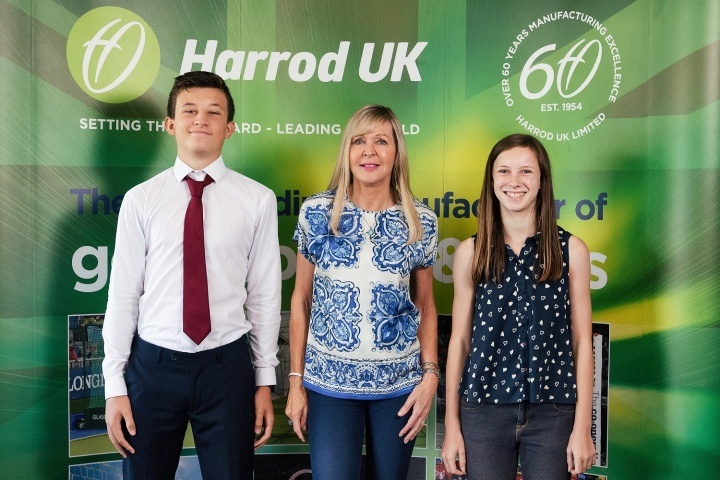 Learn more about Harrod Sport here.